If you are planning to take a break from your hectic schedule this year you should look for some of the best holiday destinations that offer value for money experience. If you love photography or want to take a ride back into the past Rome in Italy is one of the best places that you can choose. It is also called one of the most romantic cities in the world and therefore an ideal choice if you are traveling with your loved one. One of the reasons why Rome is such a beautiful place is because it has this unique mix of haunting ruins that reflect its history while it also has a vibrant street life that mirrors the modern society that thrives right in the heart of the city. If you are heading to Rome you would want to make sure that you have the best accommodation option. You can find some really great hotels that offer the best experience or you can find houses for rent in Italy that allow you to get similar experiences but help you save extra money. 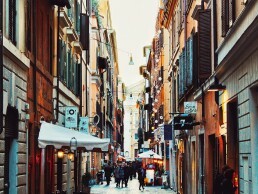 You can indulge in shopping and enjoy Italian cuisine with all the money you save and enjoy Rome in the limited time you have. A weekend trip to Rome is a perfect way to enjoy time with your special ones and for that, you need the right itinerary. Check into your hotel on a Friday night and enjoy the classic Roman food that allows you to have the first taste of Rome before you call it a day and prepare for 48 hours of Rome tour. Start your day with a complimentary breakfast and then get dressed for a visit to the Vatican. Visiting the Vatican is an experience in itself as it offers you a window into the past. While visiting the Vatican you have to ensure that you follow the dress code and keep your knees and shoulders covered at all times. You can start your tour with the Vatican Museums where you can explore the immensely popular Sistine Chapel and Raphael Rooms. The Vatican Museum is considered to be the most complex and the largest museum complex in the world. After the Vatican Museum tour, take a break for a lunch and enjoy lunch at some of the best restaurants in the Vatican area. An hour later, resume your trip of the Vatican with a tour of the St Peter’s Basilica, the world’s largest church. If you are willing to burn some calories make sure you climb up the magnificent dome designed by none other than Michelangelo. 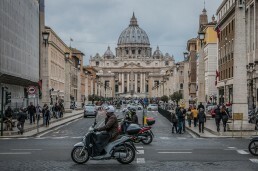 Once you descend the dome and complete the tour of the St Peter’s Basilica you can head for a stroll to the Centro Storico also known as the historic center. This is the best place where you can shop as there are some stalls and shops here that sell all kinds of products. A little further away you will come across the Pantheon so make sure you visit it. Pantheon is among Rome’s most visited places and also the best-preserved monument. If you are into architecture you’ll fall in love with the way Pantheon has been designed and created. A few minute away you will find the stylish fountains of the Piazza Navona. As the sun goes down be ready for a great candle-lit dinner at some of the finest restaurants in Rome that offer top-notch fine dining experience along with classic Italian and Roman cuisine. Take a walk back to the hotel as you explore Rome and see it come alive in city lights. 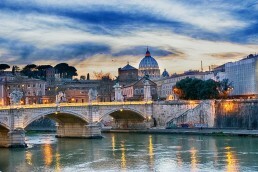 Explore the nightlife in Rome and enjoy a modern life in the city that still reflects its past. Once you are done with your breakfast you can start your day with a climb to one of the most picturesque places in Rome, Palatine Hills. This place is perfect for history-lovers and photographers as they can explore the intricate fountains, colored mosaics and marble floors of the 1st-century palace now turned into a ruin. When you are done exploring the Palatine Hills you can head to the biggest attraction of Rome, the Colosseum. Rome has a history of blood-sport and this amphitheater has witnessed many such battles. Enjoy a guided tour here and explore different areas of the Colosseum which might evoke your experience of watching an Oscar-winning movie Gladiator. After a detailed tour of the Colosseum take a break for lunch. Enjoy a delicious Roman cuisine at the finest restaurant around and a glass of the regional wine. Up next you would visit the Capitoline Museums which date back to 1471 and are the world’s oldest public museums. Here you will find the 12-meter high statue of Constantine that originally stood in the Basilica di Massenzio. The museum has various sculptures and ancient masonry in the ground-floor courtyard. When you head upstairs you will find the 16th and 17th-century Italian works like the Sala Pietro da Cortana and the Sala Santa Petronella. 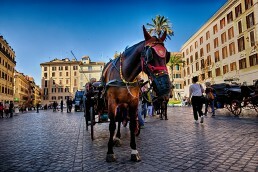 After the museum tour take some personal time out for shopping and exploring the streets of Rome. Enjoy the evening stroll through the cobbled lanes and hidden corners and spend quality time with your loved ones in the most romantic city in Italy. Capture vivid colors of the Rome in your camera and smell the aroma of the freshly grounded coffee brewing at the cafes locally. Enjoy your dinner at the local restaurants and head for your hotel room. Check out early next morning on Monday and take a homeward bound flight. Have you visited Rome? how long did you spend wandering this historic land? I would love to know what you got up to whilst you were in Rome.